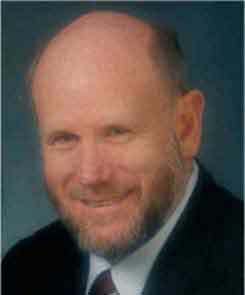 Patrick T. Maher, Dr. Sci., Crim. Dr. Patrick T. Maher, a Principal Associate with Personnel and Organization Development Consultants, Inc. (PODC), specializes in test development and administration, in particular in the assessment center method, and in Fair Employment Practice. Since 1982, he and Dr. Willis have partnered on numerous assessment center projects and also co-presented papers at professional conferences. From 2003 – 2009 Dr. Maher served as the Provisional Personnel Director for the Inglewood Unified School District and the Personnel Director for Basset Unified School District. During his tenure he directed the implementation of a competency based personnel selection and classification system, the implementation of situational interviews for a variety of entry level positions, and streamlined the entire recruitment and selection process. Dr. Maher has made more than fifty-four (54) presentations on assessment centers and related topics at professional conferences all over the U.S. He has also published more than thirty-four (34) articles and papers on assessment centers and related topics and is the author of three widely used training manuals on assessment centers. They are: Preparing for promotion: A guide for law enforcement assessment centers. Blue Lake, CA: Innovative Systems, Publishers, 1994. (co-author); Assessor training manual for public sector assessment centers, 2nd edition. La Palma, CA: Personnel and Organization Development Consultants, Inc., 1993 and Designing emergency scene simulations for police and fire promotional examinations. La Palma, CA: Personnel and Organization Development Consultants, Inc., 1993. Dr. Maher’s dissertation consisted of an empirical study of assessor proficiency related to length of assessor training. This study, the only one of its kind that has been reported in the literature, proved a statistically significant correlation between length of assessor training and assessor proficiency in key assessor tasks such as accurately recording behavioral observations and placing those observations into the appropriate dimensions/competencies. Dr. Maher previously served as a Staff Associate and Criminal Justice Consultant with the Public Administration Service, conducting many organizational and management studies throughout the United States. Pat also served as a correspondent for American Fire Journal, and wrote numerous articles on all facets of human resource management, especially that pertaining to the fire service. His assessor training manual and videotape training program has been used throughout the world to properly train assessors and to develop assessment centers and tactical simulation exercises for training and assessment in the police and fire services. He was one of the first to use the tactical training simulators for promotional purposes in police and fire departments, and his monograph on this topic has also been purchased by police and fire departments worldwide. He received his Doctorate in Criminology at August Vollmer University in Orange, CA and a Master of Public Administration from Pepperdine University, Malibu, CA. His undergraduate bachelor of science degree is in Criminal Justice from the California State University at Long Beach. In addition, he has more than 23 years of experience in law enforcement, with most of that at the supervisory and management levels. He previously served as an Affirmative Action Officer and Commander of the pre-employment background investigations unit.